Ukrainian/Russian journalist Anhar Kochneva was kidnapped by the FSA (Free Syrian Army) on October 9 and since then is detained, probably by an Al-Qusayr based militia. Two days before Kochneva had travelled to Tartus, where she spoke at the local cultural center. She went shortly back to Damascus but left on October 8 for Homs to prepare material for a reportage by Vadim Fefilov and his team from the Russian NTV news channel. 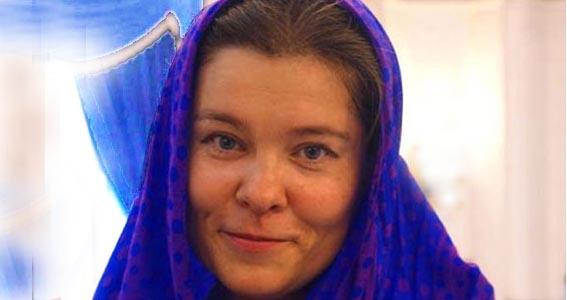 Anhar Kochneva was able to contact her former husband, who is living in Moscow, as well as her colleagues from NTV via cell phone and confirmed that she was kidnapped and forcibly held by the militants. The Ukrainian Ministry of Foreign Affairs said, that negotiations were initiated to release her in exchange for militants detained by the Syrian government. Anhar Kochneva is a freelance journalist who lives in Damascus since October 2011. Her mother is Palestinian and Arabic is her second native language. Kochneva worked mainly for Russian media organizations but also for international news agencies and the German news station N24. Kochneva received threats from rebels many times because of her pro-government position. After her disappearance was announced in public, her blog was flooded with hateful comments and death wishes. The Russian journalist Anhar Kochneva, who has already affirmed several times in reports and interviews that what is taking place in Syria is organized terrorism supported by foreign powers and promoted by Arab and Western satellite channels to spread fear among Syrians and to spread false information into the world. That Al Arabiya and Al Jazeera aren’t credible should be already clear for more and more people who try to follow the events and the coverage about the situation in Syria. Anhar Kochneva is living and working in Syria since a long time and often travels through the country. This is no problem for her because she is able to speak Arabic fluently, thus the coverage of events in Syria by her are indeed interesting and are enriched by own experiences and original statements — she doesn’t need a translator. On Tuesday, in a lecture delivery at the Arab Cultural Center in the Syrian coast town of Tartus, journalist Anhar Kochneva told that she has accompanied the Syrian Arab Army in several military operations, for instance in Damascus and the countryside of the Syrian capital. She has reported about her experiences and has documented and photographed these operations of the Syrian Arab Army. Anhar Kochneva has also visited the Syrian city of Homs and reported about the now sadly famous district of Baba Amr in June. The journalist Kochneva noted at this lecture in Tartus that the soldiers of the Syrian Arab Army were committed to protecting the journalists who are with them, even if it costs them their lives. She has again confirmed that the terrorist groups often try to attack journalists who accompany the Syrian army and she also has affirmed that these groups of armed radicals have failed to affect the Syrians’ awareness and that this is one of the reasons why these armed and Western-backed fighters and Islamists resorted to bombings, abduction, massacres and murders and try to manipulate the public opinion by false-flag actions and staged videos scenes. Kochneva also pointed out, that the Western main stream media broadcasts false news that are not based on facts. Like a lot of other people in Syria and some foreigners, Kochneva could personally verify the biased and false reporting by Western media. Afterwards, Anhar Kochneva called on the Syrian media to continue in their coverage and to be faster with its reports from the ground in order to prevent the propaganda channels from some Gulf States like Qatar and Saudi Arabia from fabricating fictive information and news. It is understandable that the Russian journalist also said that the non-democratic sanctions and decisions against the Syrian media confirm the Western hypocrisy and are finally something like a medal of honor for the Syrian journalists. She also stressed that to emerge from the current crisis in Syria requires sacrifice, confidence, resilience, fidelity, and a lot of work, of course. At this lecture delivery in the Syrian coast town of Tartus, this Russian journalist showed some of her footage that she personally recorded while entering areas with the Syrian Arab Army that were previously devastated by the US-supported armed groups of fighters, religious fanatics, and mercenaries. In further horrible videos, the guests of this lecture delivery in Tartus were able to see, for example, that these armed groups of terrorists use children soldiers, even encourage them to wear weapons and to fight against the Syrian Arab army. The videos also confirmed that these Western-backed terrorists commit massacres against Syrian civilians. “Reports and videos have not proven yet Itani’s involvement with any party that works against the revolution, but his presence as a journalist no longer receives approval in areas controlled by the rebels”. On October 10, Mohamed Al-Ashram, a cameraman of the TV station Al-Ikhbariya, was killed by a sniper in the eastern city of Deir El-Zor, while filming a clash in the district of Al-Mouadafines. On October 3, Lebanese Journalist for Al Jadeed TV, Yumna Fawaz was embedded with Syrian opposition groups on the Syria-Lebanese border. When she witnessed Turkish officers distributing weapons to insurgent groups inside Syria, she was taken hostage by the Turkish officers and her video tapes seized. The intention may have been to execute and silence her and blame the Syrian government, because at the same time her station received news from the FSA claiming that she had been killed by government forces. Yet it appears that a phone call by a colleague saved her life. In September FSA snipers in the Syrian capital of Damascus attacked Press TV staff, killing the Iranian English-language news network’s correspondent, Maya Naser, and injuring Press TV and Al-Alam Damascus Bureau Chief Hosein Mortada. In August a bomb struck the TV and radio building in Damascus and rebels briefly took over the state TV building of Aleppo. TV presenter Mohamed Al-Said was killed, following his kidnapping in June. A team of the Al-Ikhbariya satellite channel was kidnapped but after some days freed in an army operation. 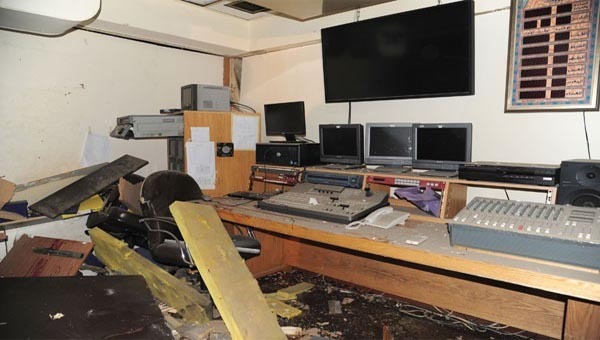 In June the Al-Ikhbariyah news channel in Damascus countryside was bombed. UK Channel 4 News chief correspondent Alex Thomson reported that rebels deliberately tried to get him and his crew killed and he also mentioned that an Arab League observer, brought in to monitor the situation on the ground, had been set up in a similar manner. In January French TV reporter Gilles Jacquier was killed in Homs by indiscriminate shelling from the FSA. In September the satellite broadcasting corporations Arabsat and Nilesat switched off all Syrian TV signals on their satellites. In October Addounia TV, Press TV, Al-Alam, and several other Iranian and Syrian news channels were switched off on Eutelsat HotBird satellites. 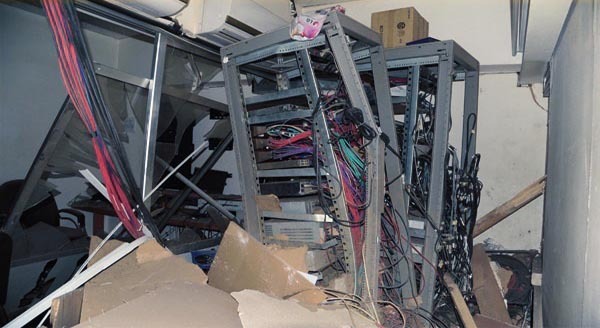 Syrian state news agency SANA and other Syrian webpages are under constant DoS (Denial of Service) attacks (SANA can still be reached via http://208.43.232.81/index_eng.html). While the independent journalists who are still alive anonymously confirm that Syria’s authorities impose no restriction on reporting, the Western media corporations usually tell a complete different story, closing reports about Syria with the obligatory remark, that the Assad regime has restricted the movement of journalists or banned them all together. Reports about rebel atrocities are either suppressed or countered by alleged crimes of the Syrian authorities. Rebel headquarters are called “documentation centers” and rebel speakers are declared “citizen journalists” — when the speakers get harmed their names are consequently added to the list of journalist casualties. The alleged clampdown on press freedom by the Syrian government is, like most of Western media coverage, a blatant lie. The Syrian government has only rejected the accreditation of journalists, when there was legitimate concern that they were CIA or MI6 operatives (spies like Remi Ochlik, Marie Colvin, and Paul Conroy. who were operating in Baba Amr). Western media corporations purposely have not deployed regular teams in Syria, because their reports would tell a story that is completely different from the official narrative. They would tell about the destruction and the human suffering brought by armed gangs, by the outrage of the Syrian population about the terrorist groups, and about the brave and determined struggle of the security personal against the mostly foreign criminals. The media corporations don’t need such reports, they rather depend on the flood of YouTube videos uploaded by terrorists and on dubious organizations like the UK based SOHR (Syrian Observatory for Human Rights). Most of these dubious organizations are nothing else than propaganda operations financed by Qatar, Saudi Arabia, or the USA. These propaganda outlets are of course also the main sources cited by the media corporations owned by Qatar, Saudi Arabia, or the USA. Al Jazeera and Al Arabiya were founded by members of the Qatari and Saudi royal families, respectively, and their coverage of Syria faithfully reflects the political positions of their backers. Al Jazeera was created with a 150 million US$ grant from the emir of Qatar in 1996, and annual expenditure on the network’s multiple channels reached 650 million US$ by 2010. Al Arabiya was launched in 2003 with an initial investment of 300 million US$ by a group of Lebanese and Gulf investors led by Saudi businessman Waleed al-Ibrahim, the brother-in-law of the late Saudi King Fahd. The much smaller, US-government financed Alhurra TV in comparison costs only around 90 million US$ annually to run. Despite the considerable financial and organizational efforts, the story that Western media was ordered to tell about Syria is too flawed, the news bits too contradictory to stand up to any challenge or scrutiny. This fiction can only be sold as fact if all dissenting voices are eliminated. Dissident news organization need to be censored, blocked, destroyed, dissident journalists need to be laid off, banned, kidnapped, killed. Journalists who want to keep their job have to obey the rules. If any supposedly critical assertion of the Syrian crisis is allowed to be published, it has at least to clearly state that the Syrian regime is despotic, evil, inhuman, bloodthirsty. This is the worst propaganda one could imagine, and it uses the one most eminent rule of propaganda, which is: state allegations as facts, don’t discuss them, treat them as a given, as common knowledge, as widely accepted. Base all other assumptions on these fictions facts. A fabrication is only a fabrication as long as it is not repeated a hundred times. After hundred repetitions the fabrication becomes a fact and can be used as solid reference for any further discussions. There is no evidence of a culture of widespread systematic torture by Syrian policemen, though isolated incidents cannot be ruled out. There are no mass graves filled by government militias, the mass graves in Houla, Daraya, Al-Qubair, Darez Azzeh were filled up by rebel gangs, as various independent inquiries confirmed (such inquiries are never mentioned in Western media). One has to wonder how Robert Fisk, after having squandered his remaining credibility with such a pamphlet can go on with his business. He still has his audience, the “Cruise Missile Left”, but it remains to be seen how long this group, which is used by the establishment to weaken and destroy the remaining pockets of critical thinking, will exist. It remains to be seen how long Democracy Now, Huffington Post, AlterNet, Salon, The Nation, The Independent, The Guardian, Common Dreams can use up their clout by propagating NATO’s imperial wars and by censoring unwanted news. There is a massacre committed right now, big enough to justify headline news on top of every newspaper or website, it is the siege and destruction of Bani Walid in Libya by militias from Misrata. The militias use white phosphorus and nerve gas and are indiscriminately shelling residential areas. Hundreds have died, more than thousand people are severely wounded in hospitals, 24,000 people are displaced. But the New York Times or the Washington post don’t write a single line about it, CNN or Fox don’t mention it, the USA has blocked any discussion about it in the UN security council. There is no outcry about the massacre of Bani Walid in Western media. 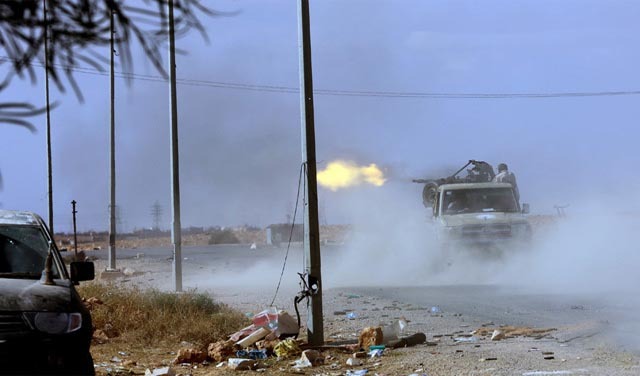 There was no outcry about the massacre in Sirte. Both atrocities dwarfed anything the Syrian government ever was accused of. There is no outcry about the massacres is Sirte and Bani Walid because these are just massacres, the mass graves are just mass graves. They are just because they are mass graves of Gaddafi supporters. Western journalists have not an easy time to paint a rosy picture of “liberated” Libya, so they rather avoid any reporting about it. There is still ample propaganda material about other areas of the Middle East to disseminate, because the “Ministry of Truth” has given out the order that the Syrian government needs to be demonized so that Western backed bandits can go about their business without interference and the grotesque and hypocritical routine of humanitarian hand-wringing can be avoided. Every media consumer who is still capable of critical thinking should be aware though, that present day Libya will be the future of Syria, when the Western funded criminal gangs cannot be stopped. Libya is a failed state, where the one who pays the highest salaries to the militias is the de facto ruler (right now clearly the Emir of Qatar). Comparatively high iving standards, social equality, national independence are all dreams of the past. We have to get the word out, as long as we are allowed to! 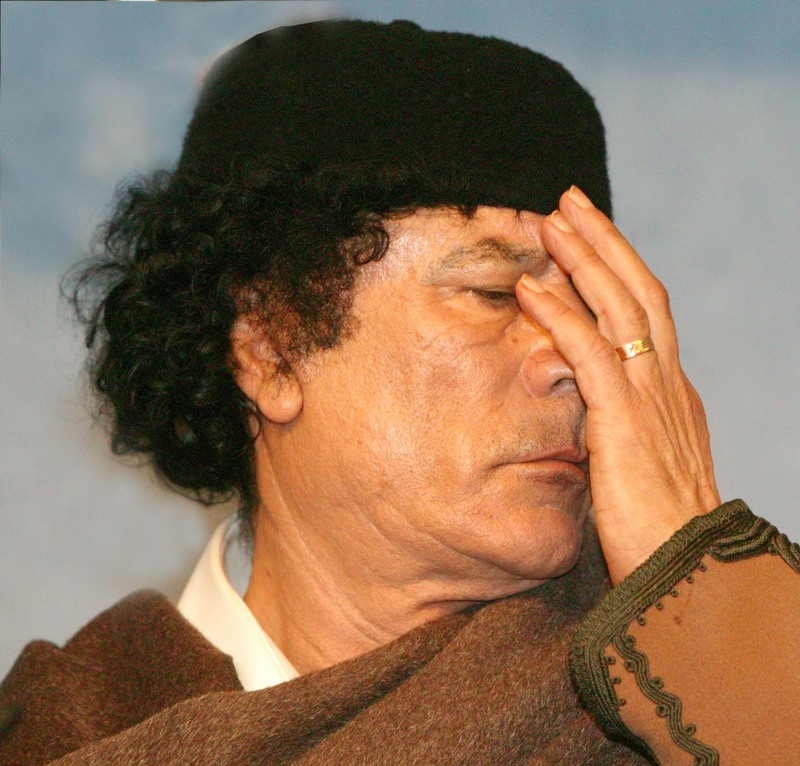 Libya is lost, there is not much what one can do to alleviate the suffering of the population. 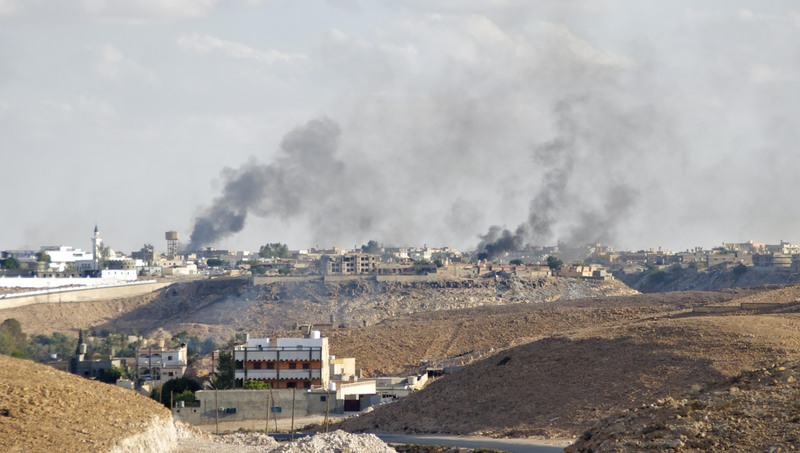 Syria has still a chance if the Western plot can be foiled.